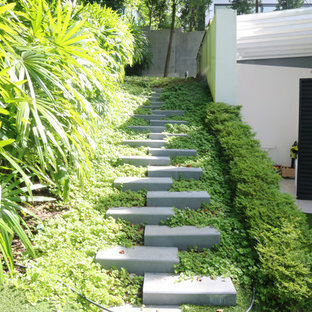 Home Garden Staircase: Granite. 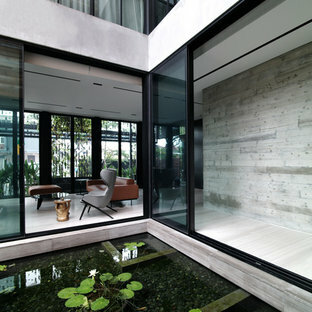 All materials & photos by Polybuilding. 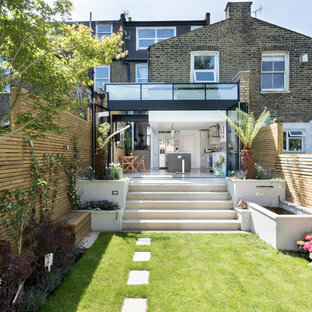 Using a refined palette of quality materials set within a striking and elegant design, the space provides a restful and sophisticated urban garden for a professional couple to be enjoyed both in the daytime and after dark. 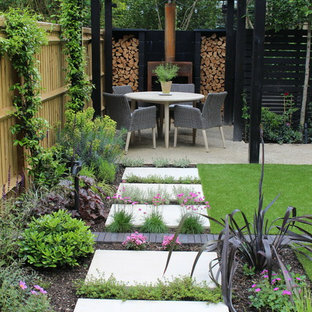 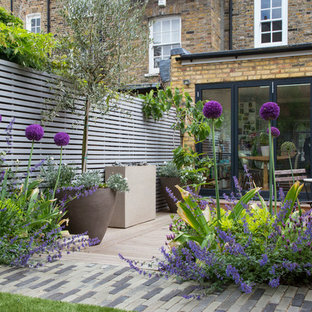 The use of corten is complimented by the bold treatment of black in the decking, bespoke screen and pergola. 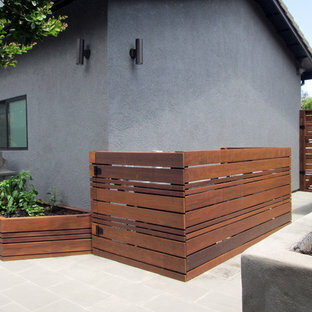 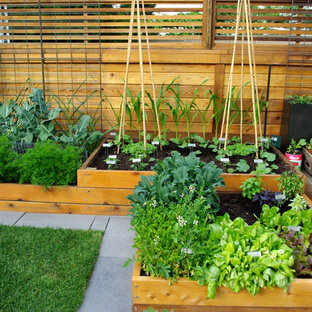 Custom multi-level cedar raised vegetable beds. 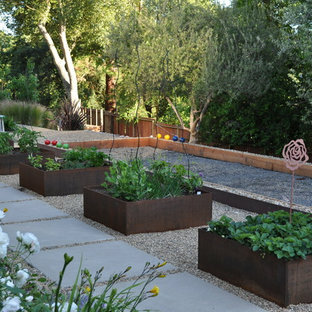 Two 9' L x 9'H EcoWalls planted with hardy perennials, surrounded by a corten frame. 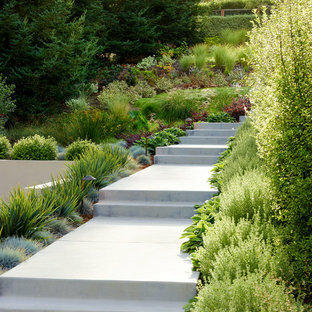 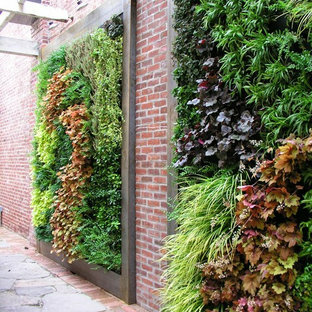 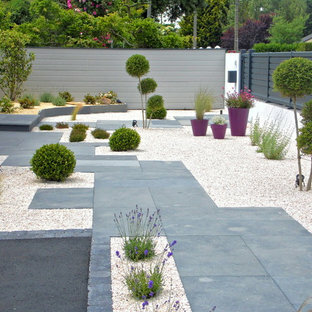 By Frank & Grossman Landscape Contractors, Inc.